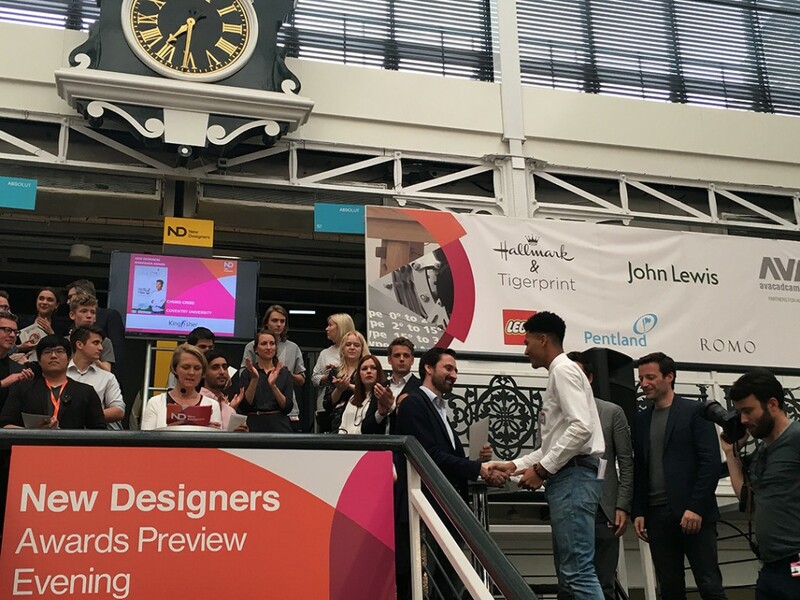 MDes Product Design graduand Chuko Cribb was presented with the Kingfisher Award during last night’s NewDesigners Awards Preview Evening at London’s Business Design Centre. The awards ceremony opened with a speech from Anthony Joseph of JosephJoseph, who reiterated the virtues of hard work and lifelong learning. Kingfisher’s retail brands include B&Q, Screwfix, Castorama and Brico Depot, and the company has more than 1,100 stores in 10 countries across Europe. Chuko receives £1000 and a 6 week professional placement opportunity. We wish him all the best.